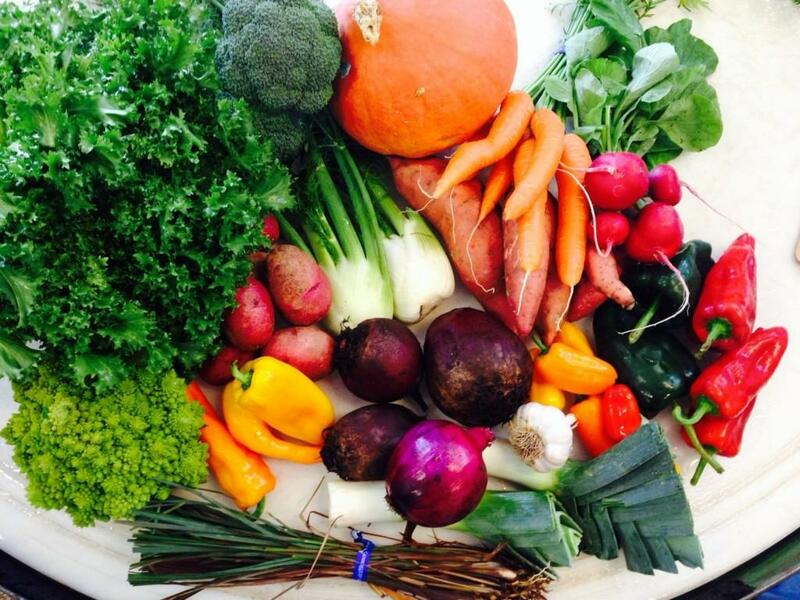 20 weeks of delicious, organic vegetables delivered once a week from mid June until the end of October. 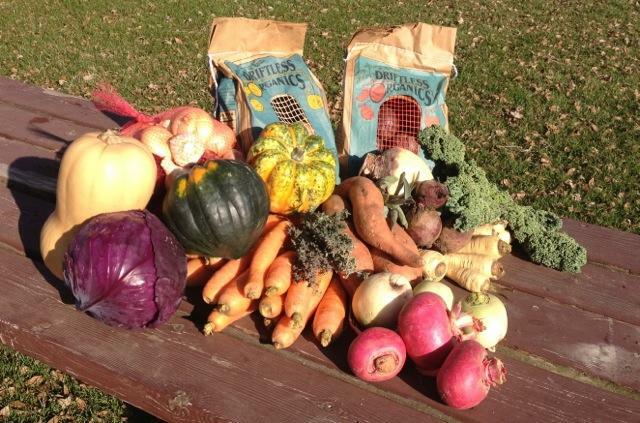 A typical box will provide enough veggies for a family of four for one week. Click HERE to see some sample boxes. Included with each box is a newsletter with updates from the farm plus recipes & tips on how to use and store your goodies. Have a look at some our archive of past newsletters HERE. Our most popular share type. This share is the same sized box as the Every Week Share and will include all of the same veggies, plus the newsletter as well. This share is delivered every other week and has 10 total boxes. 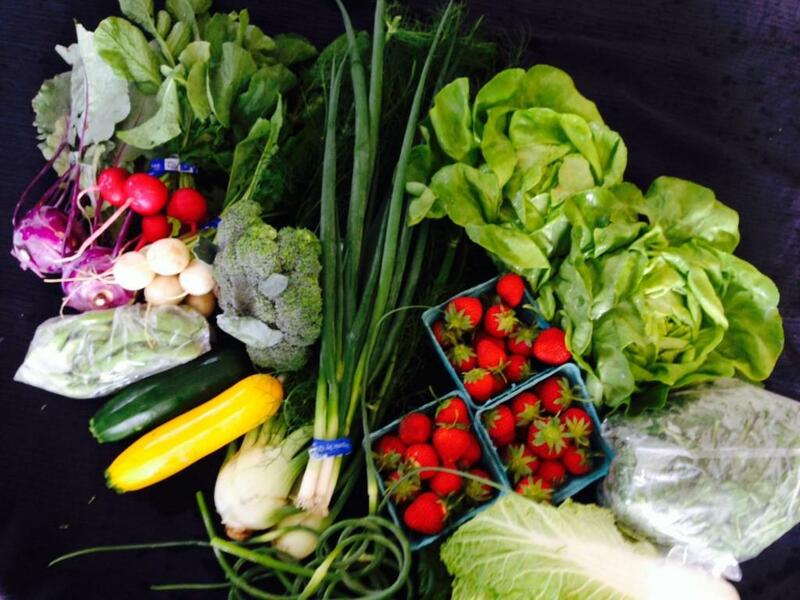 CSA member perks include access to hundreds of past recipes and newsletters are available to you on our website. Check it out HERE. This share is the same sized box as the Every Week Share and will include all of the same veggies, plus the newsletter as well. This shares gives you the freedom to choose 14 boxes over the course of 20 weeks. You can simply go online and make your switches or tell us the weeks you want your boxes and we can take of the rest. Plan around your vacations. How cool is that? Winter can be tough – and there’s nothing like some fresh greens in the spring to get you back on the eating local track. 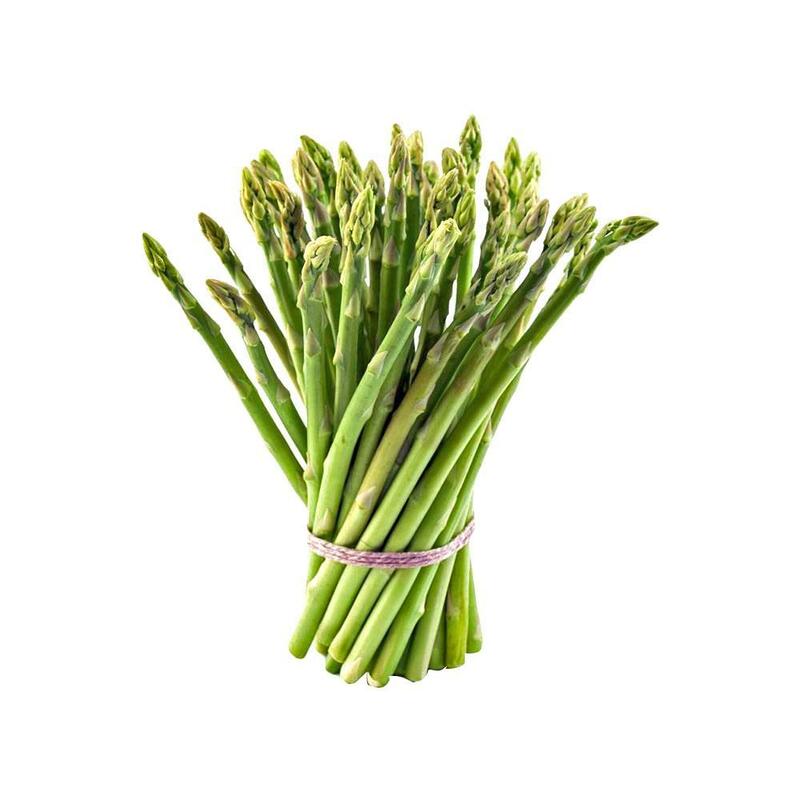 This share will include all the spring goodies like spinach, salad mix, and asparagus, plus some overwintered veggies like potatoes and parsnips. Starting in November, this share is a four or seven box continuation of the regular season with boxes being delivered every other week. Your boxes will be filled with all sorts of delicious fall and winter produce, including items like potatoes, carrots, kale, onions, sweet potatoes, winter squash, garlic and more! Big ol’ boxes of produce (nearly 50 pounds worth!) leave your tummy and your wallet full! Plus, they’re delivered just in time for the holidays. Your storage share will most likely include bountiful bags of potatoes and carrots, onions and garlic, sweet potatoes, winter squash and even kale and spinach. In addition, the boxes will include smaller amounts of parsnips, beets, winter radishes and beets. Order one or both and receive a discount. Running from late April through February, this share encompasses the Spring Share, the Every Week Share and the 7-week Winter Veggie Lovers Share. 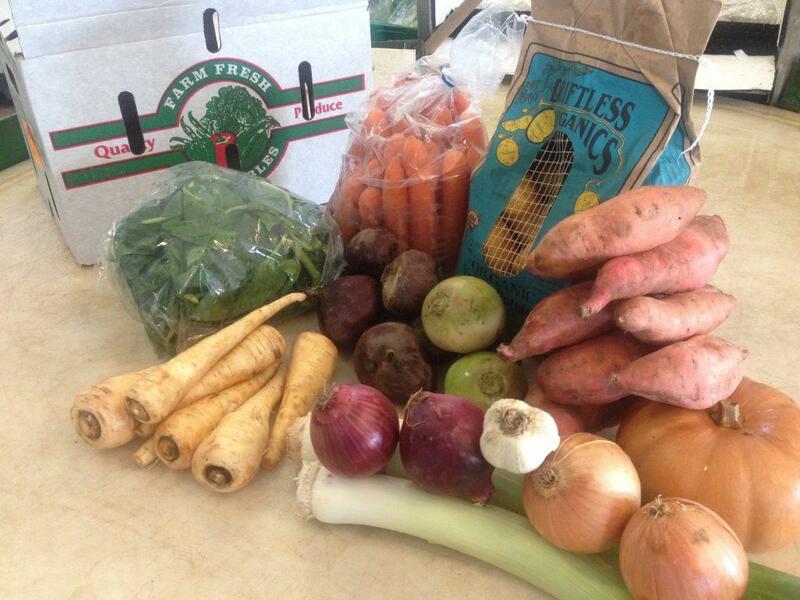 By the the biggest bang for your buck, this share will not leave you wanting for organic veggies from Driftless Organics! Mailed to you at any time of the year. 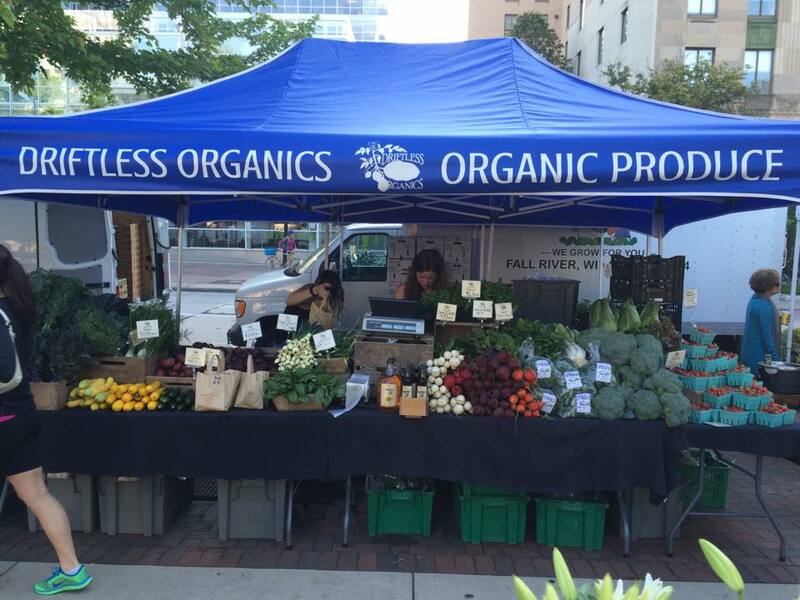 We attend the Farmer’s Market starting in the spring until mid to late February. These cards can be used at any of the Dane County Farmers Markets that we will be attending (we attend from May – February). Cards are good for one year after purchase, are NOT redeemable for cash and can not be replaced if lost or stolen. 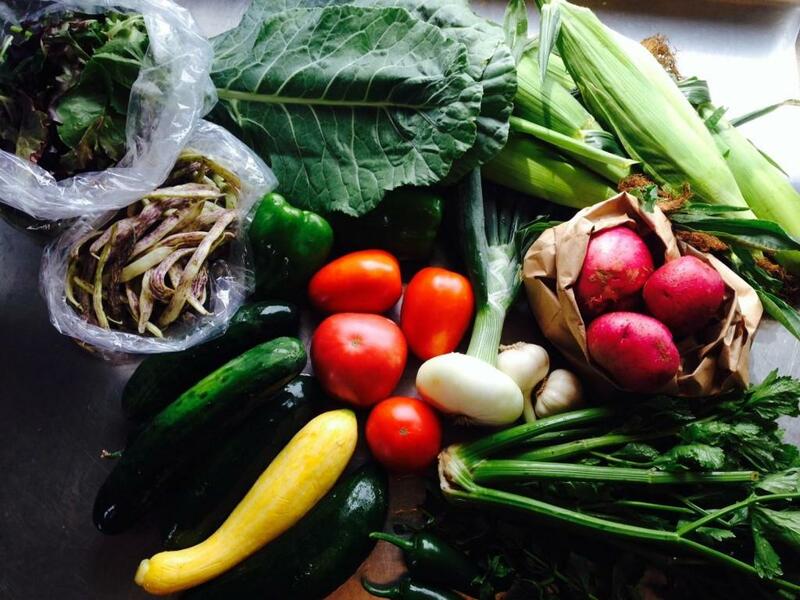 SIGN UP FOR A CSA SHARE TODAY!